Haven’t posted in a while, but while the muse hits me I thought I would just do a quick blog. Just before Christmas, Gary Craig (the developer of EFT) announced that early in 2010 he will be retiring. 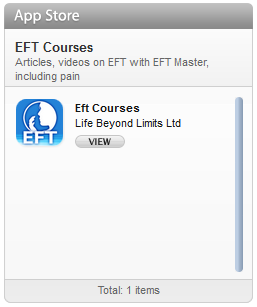 Gary has worked tirelessly for many years helping to get EFT out to the masses. I wish him all the best. As a tribute to Gary, Gary Williams from the EFT World Hub is hosting a seven day tribute event to celebrate Gary Craig and his contribution to EFT. This unique piece of EFT history will bring together top tappers from all over the EFT world, and you really wouldn’t want to miss it! 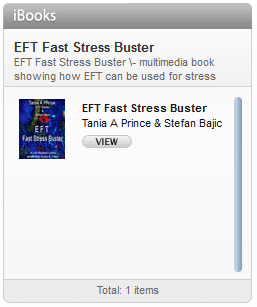 As a way of saying “Thank You!” and in the spirit of giving that Gary Craig often adopted, we will be offering free access to interviews from well known EFT tappers every day for seven days. We will end with a recorded interview featuring Gary Craig, with insights into his new film, based on work with war veterans. On Sunday the 10th of January we will be inviting you to an introduction to the event at 2pm Eastern that is 8pm GMT and again at the end of the event and at the same time on the 17th of January. Together we will talk about what the future holds for EFT tapping and sharing time with some special surprise guests, who will also be sharing with us. 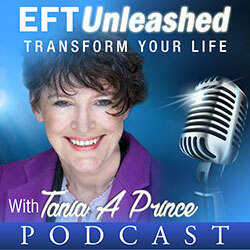 As you listen over the seven days you will also hear many tributes to Gary Craig from top tappers themselves and also share with them, how EFT has changed their lives and helped so many people across the world get over all kinds of limitations and health issues. Dr Patricia Carrington, Dr Carol Look, Brad Yates, Judy Byrne, Tapas Fleming. Hi Tania – so glad you are posting this. Let’s get it out to EVERYONE! I love hearing the personal stories of how Gary influenced the lives of people who have made this their life’s purpose. I’m glad to be involved myself! Nice to hear from you Karin. I think this will be an excellent event. Gary certainly had a big impact on my life. I was more than happy to share those stories.